Singapore (11 January 2018) - Nissan is showcasing the new LEAF at this year’s Singapore Motor Show, featuring the latest Intelligent Mobility technologies that Nissan is committed to bringing to more people in more markets. Nissan Intelligent Mobility represents our technological leadership, the company’s approach to changing how cars are powered, driven, and integrated with society in the future. Nissan Intelligent Mobility is focused on autonomous technologies for a safer and more confident drive, electrification for a cleaner and more efficient drive and connected technologies for greater convenience. The new LEAF is the icon of Nissan Intelligent Mobility and the next evolution of Nissan’s zero-emission electric vehicle. It combines greater range with a dynamic new design and advanced safety and other technologies. The LEAF will be among the highlights of the vehicles on display. Nissan’s highly successful X-Trail and Qashqai, which pioneered the SUV crossover segment globally, will also be among the vehicles shown at the Nissan booth. 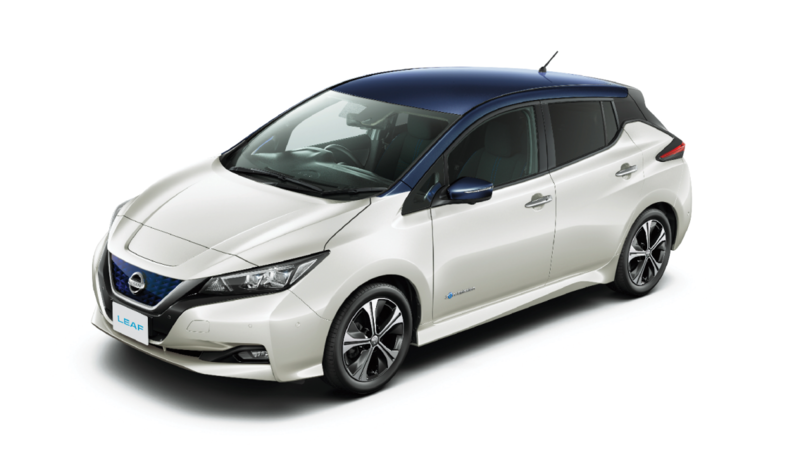 “The new Nissan LEAF shows our intention to remain as an EV leader. It shows Nissan’s technological leadership,” said Mr Yutaka Sanada, Regional Senior Vice President and Head of Asia and Oceania, Nissan Motor Co.
“These technologies called Nissan Intelligent Mobility set us apart from our competitors. They are the core brand strategy for our future in this region. And they are being injected not only into the new LEAF but core models like X-Trail and Qashqai,” said Mr Sanada. “Through displays, demonstrations and videos, the Nissan booth will showcase Nissan Intelligent Mobility technologies to let visitors experience our latest innovations such as the Intelligent Around View Monitor, e-Power technology and also catch a glimpse into the future where Nissan vehicles are fully connected and integrated with the wider society to create a sustainable ecosystem,” said Mr Glenn Tan, Managing Director, Tan Chong International. The current LEAF is the world’s best-selling electric vehicle with 300,000 units sold to date. Launched in September, the new LEAF comes with the latest iteration of Nissan’s ProPILOT single-lane autonomous driving technology, and ProPILOT Park that automatically controls the vehicle and guides it into parking spots. It also features e-Pedal technology, which lets the driver start, accelerate, decelerate, stop and hold the car by using only the accelerator pedal. It’s designed to strengthen the link between car and driver as a close, reliable partner that delivers a safer, more convenient and more enjoyable drive. The new LEAF delivers an exhilarating, linear driving experience with a power output of 110 kW, 38 percent more than the previous generation of Nissan LEAF. Torque has been increased 26 percent to 320 Nm, resulting in improved acceleration. The driving range has also increased. The car’s new 40kWh Lithium-ion battery pack delivers an estimated range of 400 km1, which would satisfy the daily driving of most customers. As one of the leaders in the SUV segment, Nissan aims to offer customers more design choices for its two best-sellers in the market. 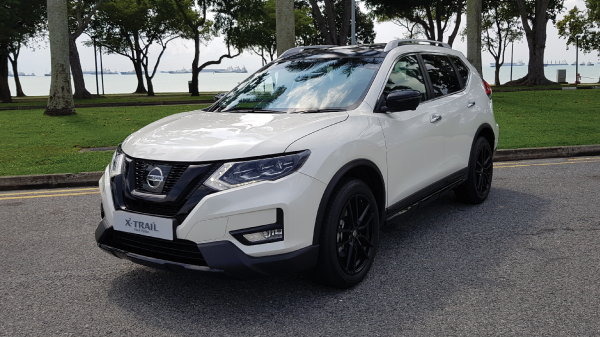 Striking contemporary design, packed with a suite of Nissan Intelligent Mobility technologies and a touch of premium quality seamlessly blend together on a special version of the Qashqai and X-Trail – the Black Edition. 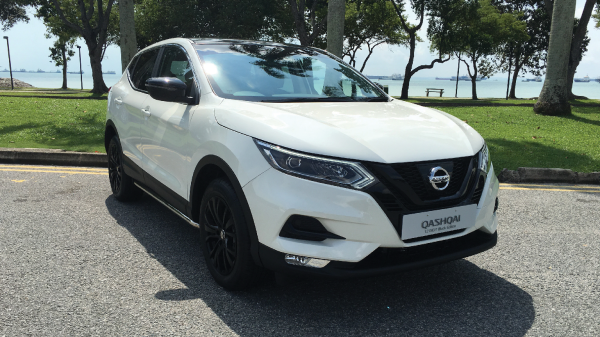 The Qashqai and X-Trail Black Edition are given a dynamic styling to the front and rear bumpers, side skirts, side mirror covers. Other styling enhancements include the new design of the rims, trimmings around the fog lights and new scuff plate. Both Qashqai 1.2L and X-Trail will come with satin black alloy wheels in 17-inch and 19-inch respectively. Also previewing at the Show, Nissan will be introducing an additional petrol-powered Cabstar to its light truck lineup in the second half of 2018. The petrol-powered Cabstar produces lower vehicular emissions for carbon dioxide, particulate matter and nitrogen oxide which is beneficial for the overall air quality and reduces the pollution risk associated with various health conditions. With a powerful and efficient 2-litre petrol engine, the drive is now more quiet and refined. It will be available in both manual and automatic transmissions.